What is a "boat" or "full boat"? - Casino Answers! 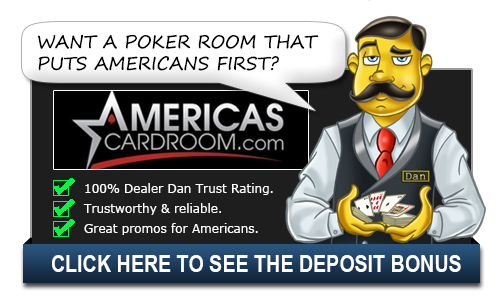 Casino Answers » Poker » Online Poker Beginner Q&A » What is a “boat” or “full boat”? What is a “boat” or “full boat”? The expression “full boat” is slang for a full house in poker. It is also sometimes simply called a “boat”. It is used in reference to a poker hand which is made up of a pair as well as a three-of-a-kind. For instance this could be a king of clubs, a king of spades, a king of hearts, an ace of diamonds and an ace of spades. This would also be called “kings full” or “kings full of aces” which may also give you a boating image in your head. In the early days of poker the full house was actually known as a “Full Hand” but that fell out of parlance and was replaced by the full house. A “full boat” would thus need three matching cards belonging to one rank, in addition to two matching cards that belong to another rank. Such a set of cards comes below the ranking a four of a kind but above a flush. The full house is one of the most powerful hands in all of poker, only being beat by four of a kind, a straight flush or a Royal flush. The history of why it is called a full boat is up for debate. A lot of people think that the reason is because the cards themselves look a bit like a boat. You put the three cards on the bottom and the two on top and it kind of looks like a boat. That’s a bit of a stretch and you really have to use your imagination, but a lot of people believe this is the reason. This does work when you have a line like “aces full of kings” meaning like the boat is made of aces with kings on board. Then again, that also works for a house. The house is made of aces and there are kings inside. It can be hard to figure out where these terms come from. There is another theory that the basis goes back to the days of riverboat gambling. If you got a full house on a riverboat, it wouldn’t make a lot of sense to call it a “full house” considering you where on a boat. People started calling it a “full boat” and the term stuck. Another legend says that there was a man named John Stitson was playing against another man named Thomas Winslow. In the game, Winslow went on to bet his riverboat on a hand of his. He had an ace-high flush and thought he had it, but Stitson had a full house and won the boat. In the ensuing years, this became a conversation piece on the boat and as the legend of this story grew the full house became to be known as the full boat. This is the legend spread by the 2+2 Forums and has gained traction in recent years. Whatever the history, getting this hand can be a gift and lead to some very big pots. It’s the goal of most poker players.